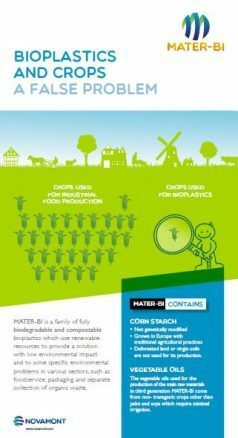 The essential components used for the production of MATER-BI are non-genetically modified corn starch and vegetable oils and are cultivated in Europe using conventional agricultural practices. 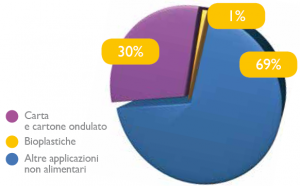 To date in the EU, only 1% of the total production of corn starch is used for bioplastics. 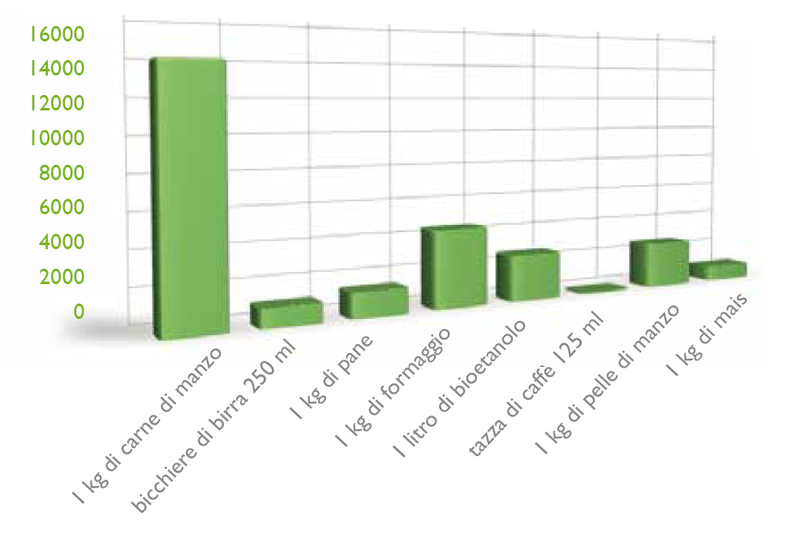 On average it takes only 15-30 litres of irrigation water to produce the renewable raw materials needed to produce 1 kg of Mater-Bi materials, an amount that has very minimal impact on water resources of the planet. 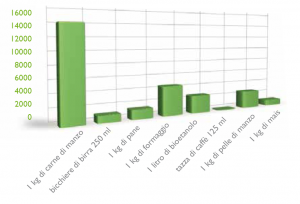 The data clearly show that the impact of bioplastics on food production is tending towards zero and that the production of bioplastics is not one of the causes of rising prices of agricultural products.